Shoes: Target (old) – similar here and here and these are at the top of my wish list! Every year when summer starts to roll around, I automatically gravitate towards bright neons, specifically this neon green. There is something about this color that always calls to me and it never fails that every year I end up with something in this shade. Is it not just the most fun and vibrant color perfect for summer?? Not only is this dress my summer dream color, but it also has a super flattering fit, is great quality and at $20 it’s a total STEAL! I would definitely recommend, especially if you are looking for a fun dress to wear for a special occasion this summer! 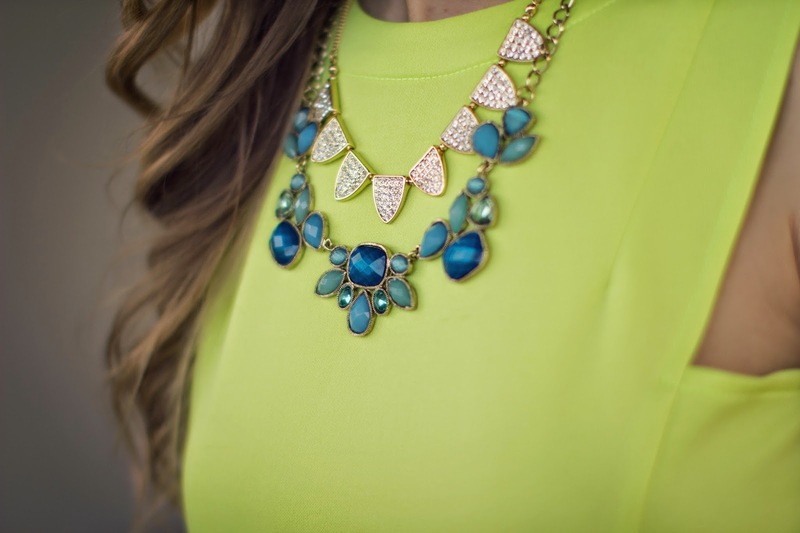 I love pairing blues and turquoise with neon green, so my blue bib necklace was a natural choice. Paired with my all time favorite necklace from Accessory Concierge and a bright pink lip, I felt like I had just the right amount of bling to give me the perfect neon glam look! 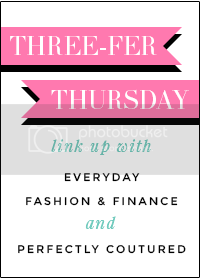 Don’t forget to enter to win a $235 gift card to ASOS! 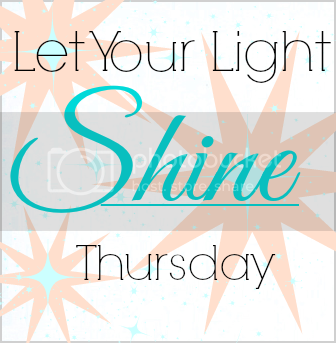 A few places I’m linking up today! Love that dress, it's beautiful! yes totally perfect! loving that color, both in general, but especially on you! paired with the blues and pinks, such perfection lady! Oh that dress is absolutely gorgeous on you! 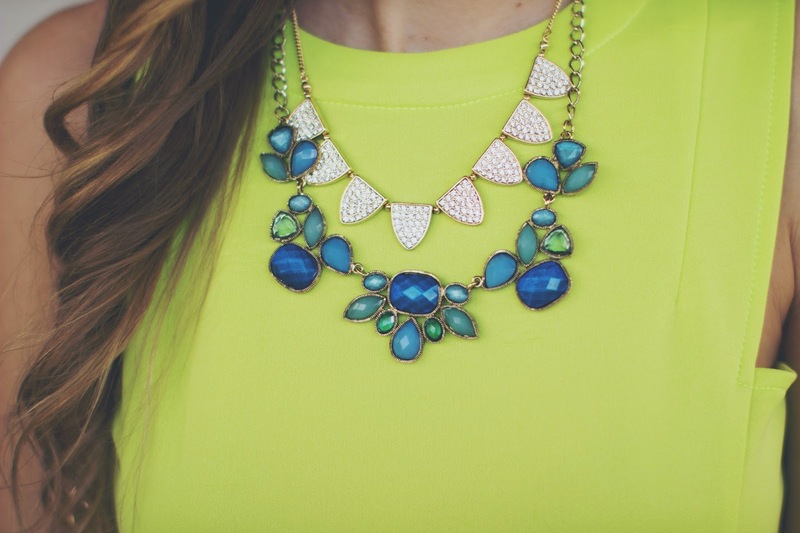 The color really works and I like how you layered the necklaces! This color looks great on you – so pretty! I love the pleats on this dress – and what a fun color! If you love neons, you might like to check out the nail polish Glowstick by Orly – it's the most amazing "neon yellow highlighter" color, and looks great with a tan. i LOVE neon on you! You carry off bright colours well. You dress is stunning and I like the way you've styled it with the necklaces and wedges. FABULOUS neon dress!! Love the pleats – so fun and flirty!